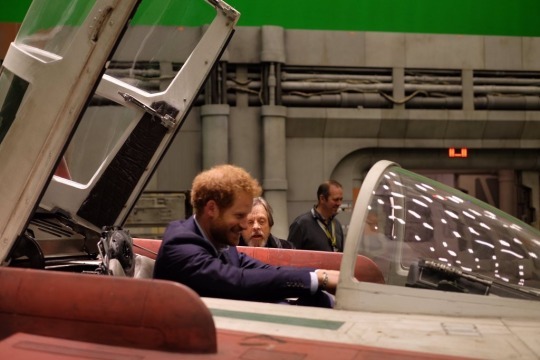 Yesterday, Star Wars fans were delighted at the release of photos of the royal visit to Pinewood Studios by Princes William and Harry. While there are most definitely Star Wars fans who adore the scions of the English monarchy, most of the excitement had to do with the reveal that the A-wing star fighter had returned to the Star Wars universe. Last seen on the cinematic screen in the Battle of Endor, the A-wing became a beloved member of the Rebel Alliance’s collection of star fighters over the ensuing years. Even here at Brown’s Review, we found the feisty A-wing a reliable craft for X-Wing sim missions in the 90’s. For all the excitement of the A-wing’s return (albeit modified in the same vein as the X-wing for the passage of time), it’s surprise isn’t really that surprising given recent nods to the craft in the Expanded Universe. On television, A-wings, granted a model earlier than that which graced the stars over the forest moon of Endor, are the Rebel Alliances’ fighters of choice in Star Wars: Rebels. While the B-wing has popped its odd cross-shaped head up in one episode, the A-wing is the craft of Phoenix Squadron, now captained by Rebels’ hero, Hera Syndulla. 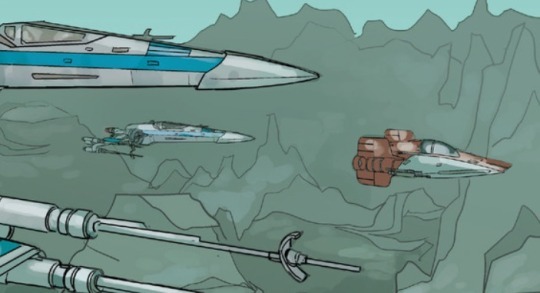 Not just on television, but in Marvel’s new wave of Star Wars comic books has the A-wing made appearances. Most notably in Shattered Empire, the heavily anticipated four part mini-series released in the build up to The Force Awakens, the A-wing stole the show as the fighter craft of Shara Bey, Poe Dameron’s mother. In two of the four issues, Bey is depicted flying the A-wing in battle in the time period following the defeat of the Emperor at Endor. In the short story collection, Before the Awakening, it’s even revealed that Poe Dameron learned to fly in his mother’s A-wing and executes (in a X-wing) a maneuver named after a colleague of her mother’s, L’ulo. Most recently (April, 2016), the A-wing actually appeared in the newly launched Poe Dameron series, placing its usage contemporaneously with The Force Awakens. This leads us to the possibility of an Expanded Universe character making the leap from page to silver screen. In the Poe Dameron series, an A-wing is part of Dameron’s Black Squadron, a collection of elite Resistance fighter pilots. 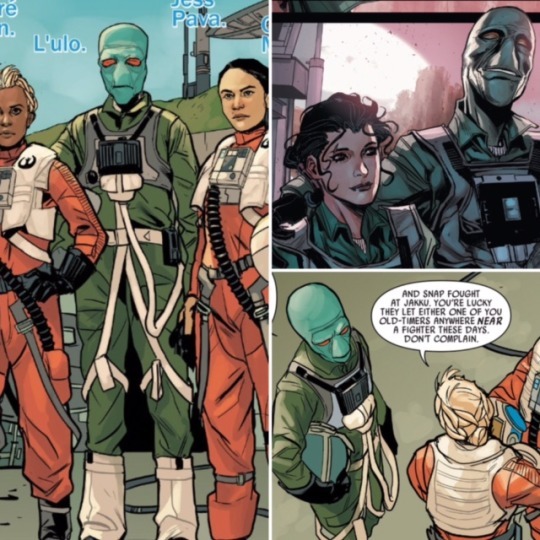 More importantly for the purposes of Episode VIII, it’s flown by none other than Shara Bey’s old friend, L’ulo. An examination of L’ulo’s A-wing in the Marvel series implies that the green Duros is still flying his original fighter and not the new model with Prince Harry at its controls. Does this preclude L’ulo from appearing? Not necessarily, and unless the poor guy’s death is planned for Poe Dameron, there’s a good reason Poe may want him flying in some capacity if Black Squadron appears in Episode VIII. Ultimately, att the very least, the presence of A-wings in general in our newest cinematic chapter of Star Wars wasn’t so surprising as just a matter of time.